Hot summer, cool water! What’s summer without some splashing fun? 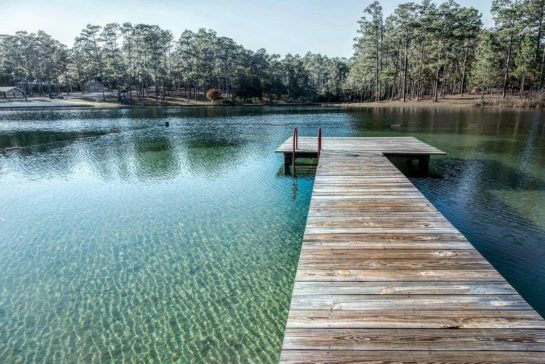 When we think about north Florida, most of us think of sugar-white sand beaches and emerald water. However, there is another side of Florida waiting to be discovered by you. Here are a few places we think you and your family will enjoy. 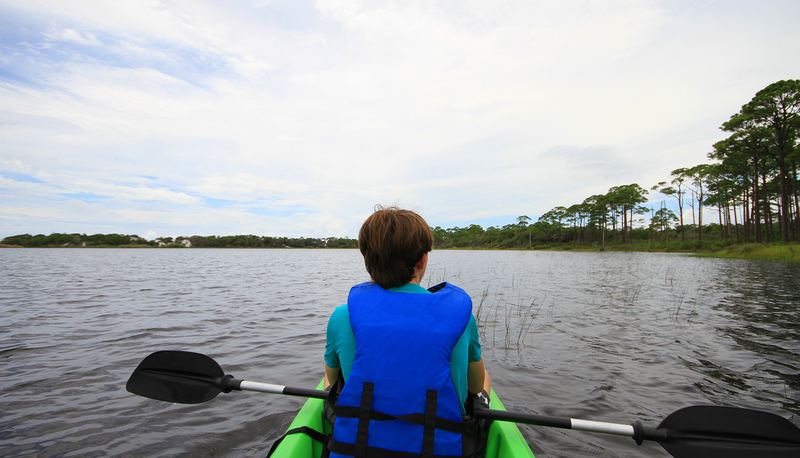 Krul Lake State Recreation is located near Munson, Florida. Krul lake is a 6.5-acre man-made spring fed lake. 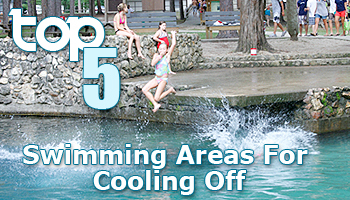 The cool waters make a fun place to cool down on a hot summer day. There is a public access area with picnic tables and bathroom facilities. The lake has a sandy beach that’s nice for lounging on. 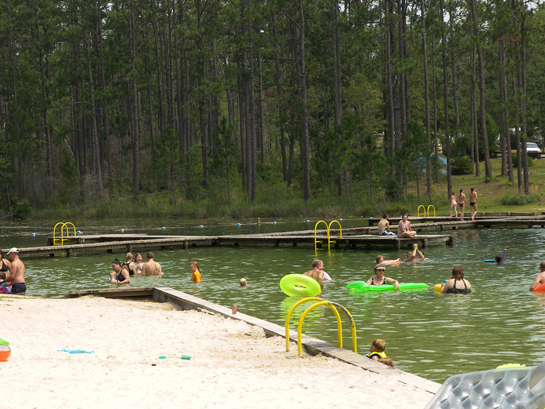 There are many swimming docks and swim platforms in the lake. We are sure you will enjoy swimming in clear waters of Krul Lake. 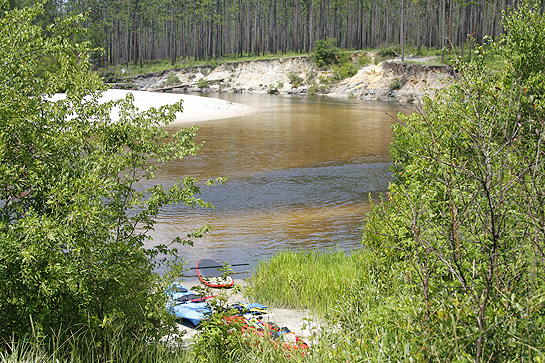 Blackwater River State Park is located east of Milton, Florida. This river has been one of our favorites. The park has a day use parking area with picnic tables and BBQ grills. 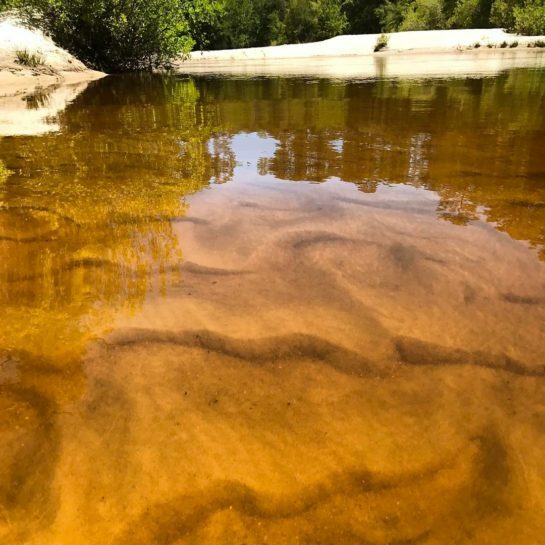 Just across the street from the parking area at the entrance to the Chain of Lakes hiking trail is accessible to a large sandy beach on the Blackwater River. For those feeling a bit adventurous, you can bring your tubes and walk up the sandy trails and put in your tubes up the river for a nice relaxing float down the river. 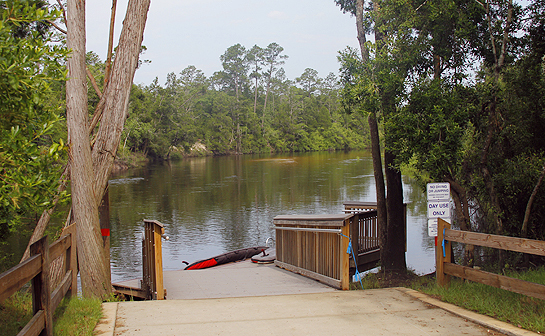 Fillingim Landing is a new public day use facility located on the Perdido River. The facility has a nice kayak launch, picnic area, and bathrooms. Fillingim Landing has a beach area but be prepared to walk across the river to access it. 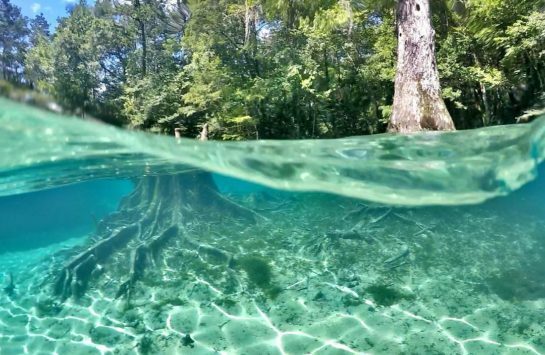 Morrison Springs is located near Ponce De Leon, Florida. If you are looking for a beautiful place to cool down Morrison Springs should be added to your list. The water is a crystal clear spring water and a cool 65 degrees. Ponce De Leon Springs is located in Ponce De Leon. 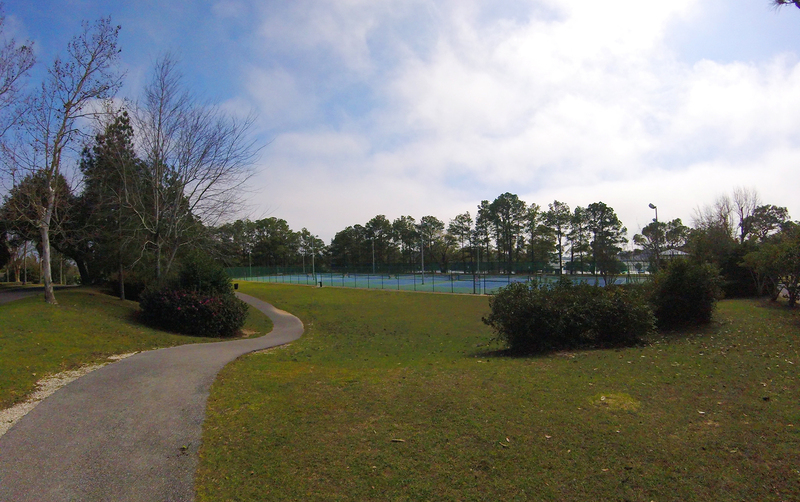 Ponce De Leon State Park has picnic tables, a covered picnic area and bathroom facilities. This is a beautiful swimming area that’s spring fed. The park also has hiking trails. This is a great place to spend the day. What’s your favorite swimming area? Thanks for the great post! Can’t wait to explore. Thanks for the comment Sarah. Have fun exploring! Nice post. Do you know about a place called Deep Hole? It is just a huge undeveloped swimming hole. I think it is on Coldwater Creek off hwy 4. I camped there a few years ago and had a blast. Hey Beau, I haven’t heard of Deep Hole. I’ll have to put that on my places to explore list. Thanks for sharing. This is a very informative and interesting article. So happy to see there are so many more places to visit in the future when summer arrives. 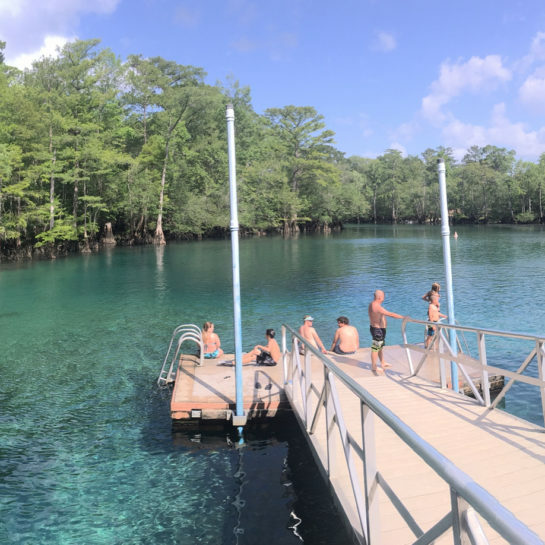 So far, I have been swimming at Weikva, Rainbow Springs, Weekie Wachie, Juniper, Fanning Springs, DeLeon Springs and a nice swimming hole in Palmdale Florida at Fish Eating Creek. It is so nice to cool off in June, July and August. I’d much rather be in a spring fed swimming hole than at a beach. Thanks for putting this out there Shawn. Have a great summer!